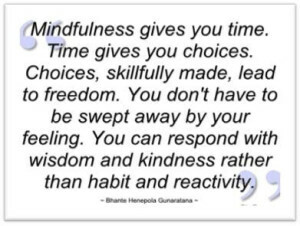 I say it all the time and I will keep on with it, mindfulness is the magic sauce! There is a BIG difference between giving something your attention versus being mindful. When you place your attention outside of you on an item, you are focused on something very specific. When you are being mindful, you are gently focusing inward on your awareness and grounding yourself in the present moment, in which you are aware of your thoughts, feelings, and bodily sensations. In my opinion, giving attention can be a limited way to “pay attention” to something or someone. You want to know the secret to an inspired life? Love yourself more by living everyday mindfully. What does that mean? That means, continually being present to each moment without judgment just as it arises, when it arises. I know – sometimes easier said than done, and we all have our days of just emotional “GURRR!” But, the good news is that mindfulness gets easier with practice. 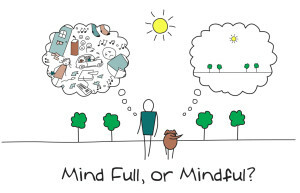 How do you incorporate Mindfulness? 1. Every day, set your Intention to being Mindful. Jon Kabat Zinn defines mindfulness as: “Paying attention; On purpose, in the present moment, and non-judgmentally.” This doesn’t mean perfection; it implies a difference in how you respond to your environment. You can always start over, if you find yourself fired up and vomiting your emotions everywhere. 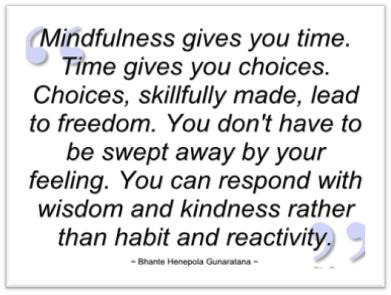 Being mindful is a conscious choice to relate differently. Be patient with yourself. If we allow our mind to “check out,” we get caught up on the monkey mind of past, future, prediction, judgment, etc. Being present means checking in with yourself at this very moment. Not needing it to be any different. Not wanting any more than what just IS. And in that moment of presence, tension dissolves. All you have is right NOW. Feel It. Now. Noticing each present moment allows you to do just that, notice it. There is no right or wrong. No labels. No controls you have to employ. You notice the feelings. You notice the thoughts. And you let them move onward. Non judgment places you as the watcher, without needing to fixate on any particular thought or feeling. 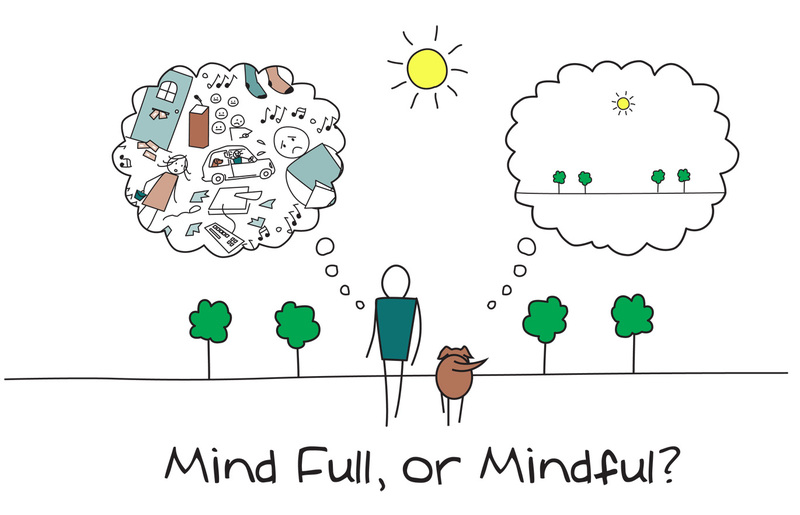 Why should we be Mindful? Stress has become a pandemic in ou r culture and it’s something that the majority of people associate with taxes; unavoidable. It doesn’t have to be, and if you think of the toll stress takes on your life, mentally AND physically, then it’s worth a shot to learn a way to preserve your sanity and your health. A practice of Mindfulness helps calm our nervous system so we aren’t RE-acting to everything and everyone around us, therefore deepening our relationship with ourselves and everyone around us.